We’re about to see a lot more of Antoni’s graphic tees and probably some avocados. Netflix has officially renewed Queer Eye for a third season. Can you believe? We can believe. Season three is slated for a 2019 return to Netflix. The third season will begin production in Kansas City, Missouri on July 16th. Location change? Intriguing. The first two seasons predominantly took place in and around Atlanta, Georgia, where the fab five have their Fab Five Loft™. 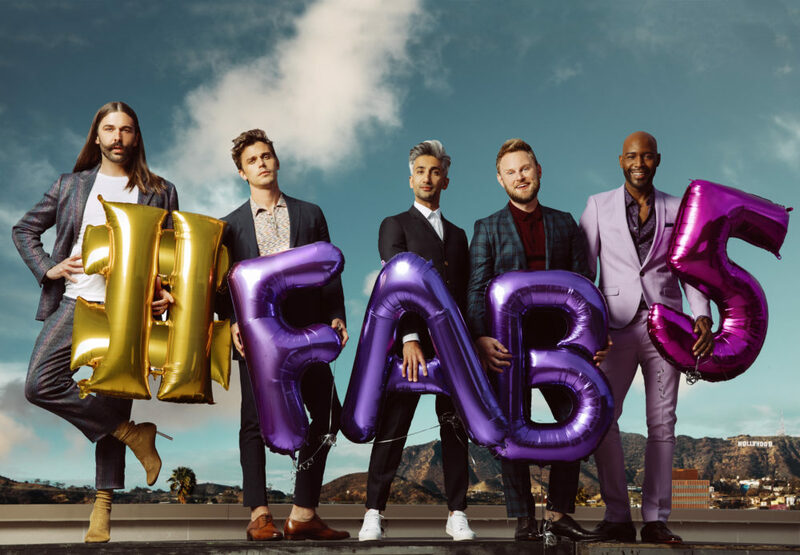 The series stars Antoni Porowski (food and wine), Bobby Berk (design), Karamo Brown (culture), Jonathan Van Ness (grooming), and Tan France (fashion) as the Fab Five style experts who revamp the lives of men and women. A reboot of the Bravo series Queer Eye for the Straight Guy, the series debuted on Netflix in February to positive reception. The renewal comes on the heels of the series’ four Emmy nominations, which were announced early Thursday, July 12th. Queer Eye was nominated in the categories of Outstanding Structured Reality Program, Outstanding Casting For A Reality Program, Outstanding Cinematography For A Reality Program, and Outstanding Picture Editing For A Structured Or Competition Reality Program. The series will be vying against Fixer Upper, Lip Sync Battle, Shark Tank, Antiques Roadshow, and Who Do You Think You Are? And of course, our favorite style experts responded to Queer Eye‘s Emmy noms accordingly. As news of Queer Eye’s renewal spread, Bobby Berk also took to Twitter to confirm the location change. No word yet on the exact premiere date of Season 3, but we’ll be waiting impatiently for the return of our favorite experts. Because who will even be able to go another year without Tan’s French tucks? Or without Jonathan ruffling through his Jesus-like hair? Or Antoni’s love of avocados? Or Bobby splashing bold colors onto drab walls? Or Karamo making us come to terms with who we are? That would be unheard of. Just remember to get some tissues and go ahead and re-binge the first two seasons on Netflix right now.